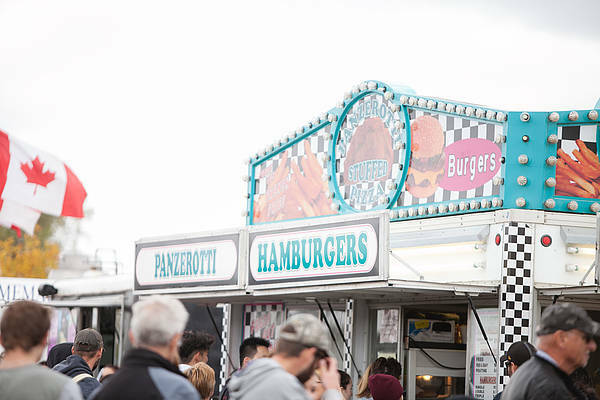 Brandon, MB (CKLQ) - Final preparations are finalized as the gates are set to open this afternoon to officially start the second annual Food truck Warz. Those planning to attend will be happy to know that every angle has been covered as all crucial amenities are in place. An information booth will provide more information such as directions and help on site. The Food Truck Warz voting booth will be located at the information booth. Voting WILL NOT happen at the Food Trucks this year. All staff will be wearing a red Food Truck Warz T-Shirt. The following Non Profits that BDNMB.CA and Food Truck Warz support will be on site all weekend. 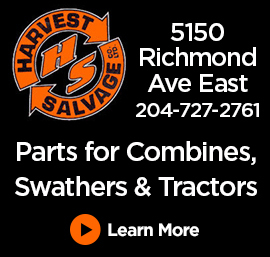 Pawsitive Communities, Westman Dreams For Kids, Sprucewoods Housing Co op and Career Connections. Non food vendors on location include: Westman Communications Group, All Points Electric, Vanguard Credit Union, Recycle Everywhere and Henna Tattoo's. Free kids face painting will be offered Saturday from 1 p.m. to 5 p.m. on the Heritage Co op Main Stage. Pita Pit Mascot on Friday and Saturday. 6 Local DJ's perform all weekend and Settin the Tone live broadcast and podcast. Plus Bearded Trevor and Zed kissing booth. Cash Cow Mobile ATM machines, Wonder Shows ATM machine, porta potties, wash stations as well as Progressive Sanitation Garbage and Recycle Bins will all be on site. Brandon, MB (CKLQ) - In just one year Food Truck Warz has grown in leaps and bounds. In its debut year (2017) the Brandon based event featured a dozen food trucks and was set up in the Victoria Inn parking lot. Just one year later it has expanded to 26 food trucks and includes a midway, beer garden, live DJs and many much more according to co-creator Jody Sass. "Come down and check it out there's always going to be other little surprises that we're going to throw in," said Sass. In order to create enough space for the enlarged event, city officials needed to close off Princess Avenue from 8th Street to 10th Street. Also, 8th Street will be blocked off from Lorne Avenue to Rosser Avenue. 9th Street will be blocked off from Lorne Avenue to Rosser Avenue. Much of the extra space is needed for extra food trucks and the Monster Midway to set up. Event co creator Darryl "Beef" Wolski said the purpose of facilitating more space for extra trucks was based on creating more choices and added convenience for the public. "We made a concerted effort this year to increase the number of trucks so we can reduce wait times and more selection," Wolski said. Getting the amusement ride company on board came together nicely according to Sass. "Right after the event last year they approached us said they wanted to do something in Brandon for years and the dates just worked out perfect for everybody," Sass said. Gate admission is free and parking is allowed in The Town Centre parkade however you can not leave your vehicle there overnight. It all gets underway at 5 p.m. today and will be open until midnight tonight. Saturday and 11 a.m. until midnight. Sunday 11 a.m. until 11 p.m.